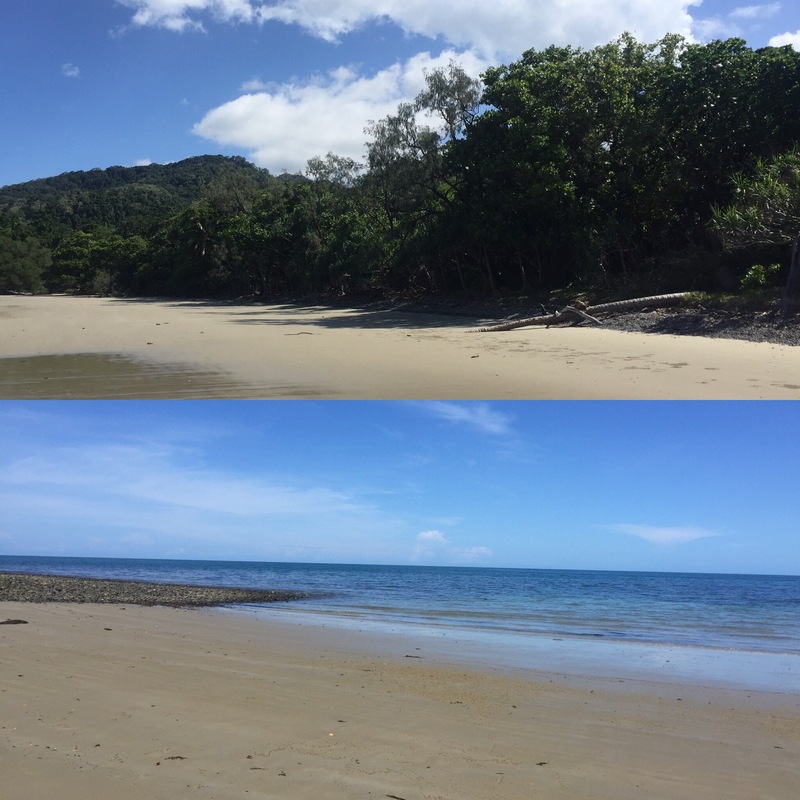 On the 13th March we went on a tour into Cape Tribulation which is north of Cairns and is home to the Daintree Rainforest. 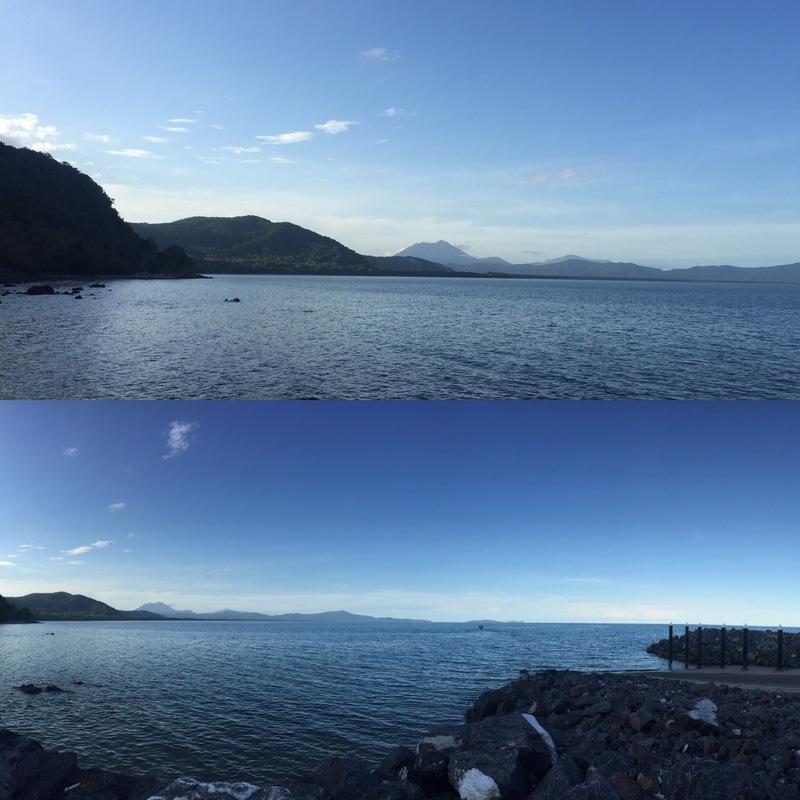 As I’d mentioned in my last post, Cairns is great for the stuff you can do in the surrounding area. 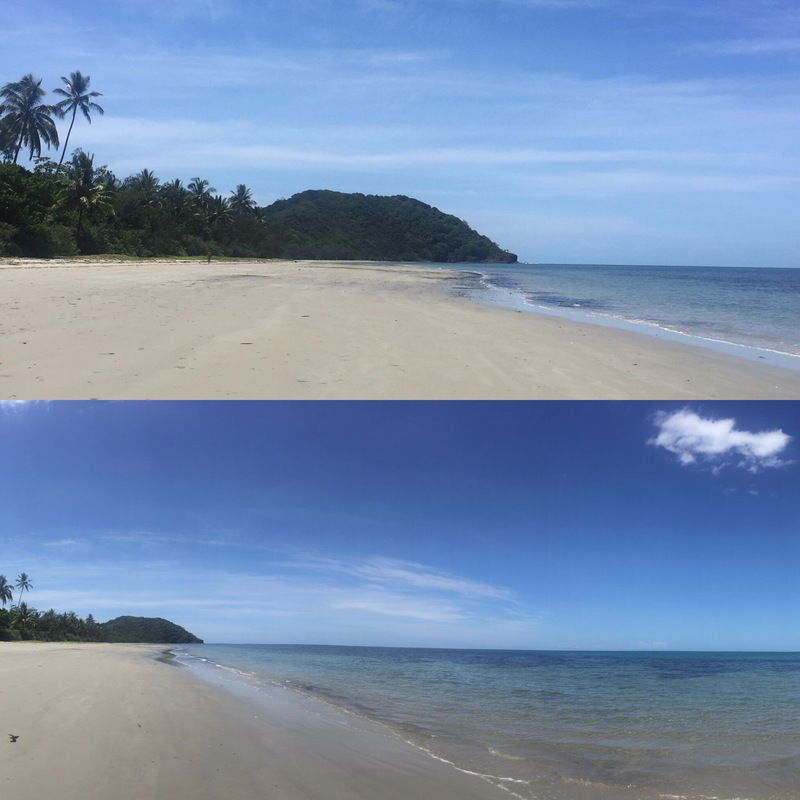 Without a car, a tour is your best bet to see Cape Tribulation and the rainforest. 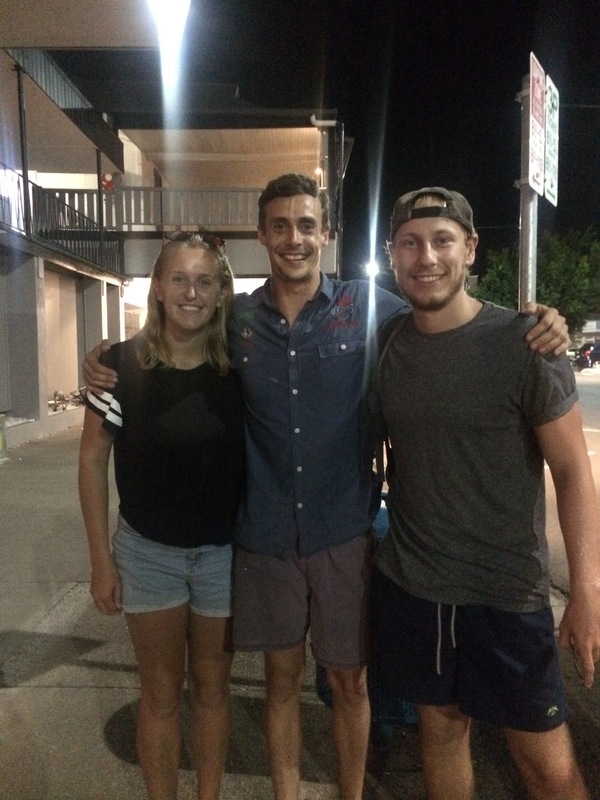 We booked onto the Uncle Brian’s tour as it’s aimed at backpackers and was one of the cheaper tours available. Richie, our driver, picked us up early and was full of energy despite how early it was! He introduced everyone everytime someone new got on the bus and was always so happy when he got everyone’s name right which was funny. 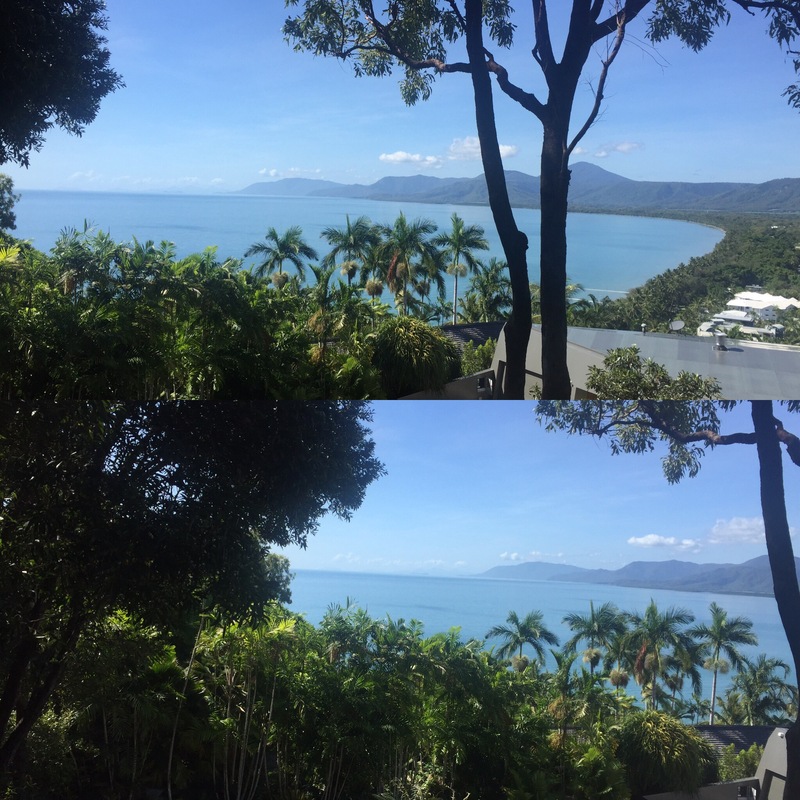 After we had picked everyone up, our first stop for the day was to Port Douglas. 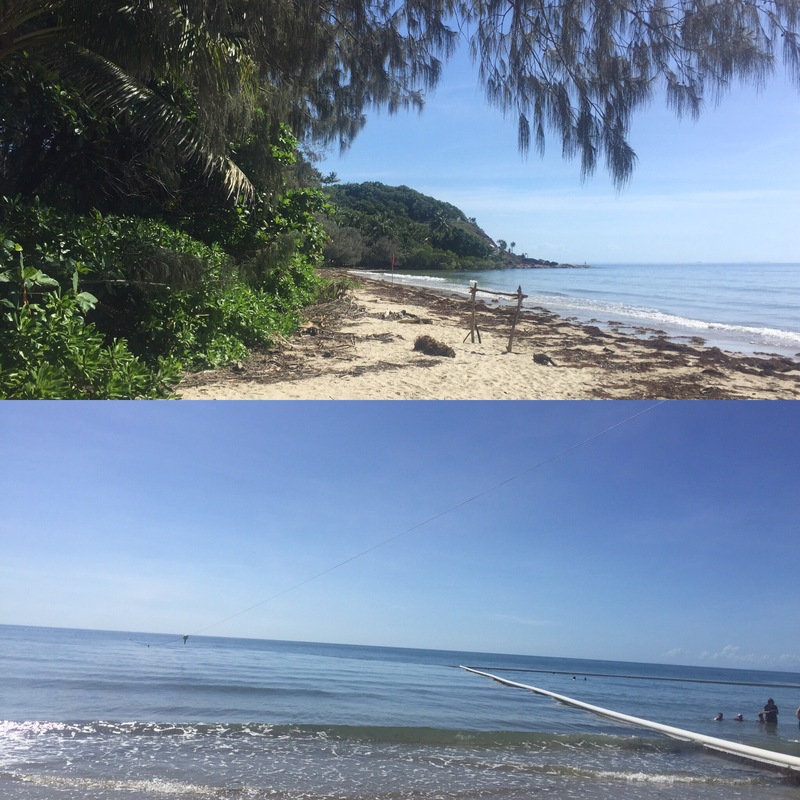 Apparently there used to be loads of gold in Port Douglas and the gold rush was what first brought the British (and others) to the area. Before that, it had been used as an indigenous trade ground. 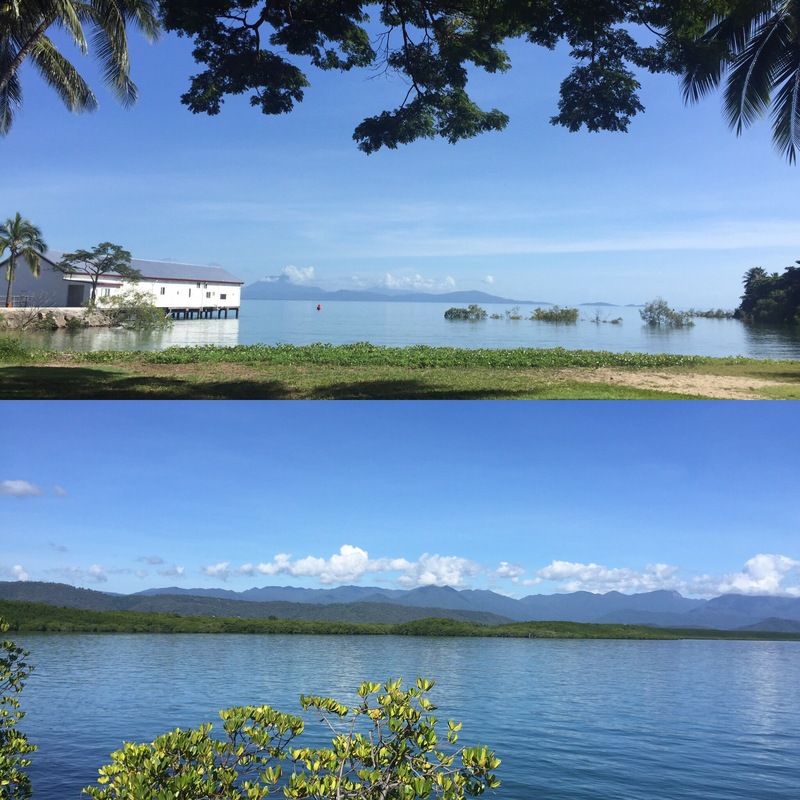 Richie told us that, decades ago, Port Douglas took a hit from 2 huge cyclones in the space of 5 weeks which pretty much flattened the place and led to 10,000 people leaving the area (not surprising really). In the 1980’s, tourism started there again and it is now the richest town in Australia. Apparently it’s only recently become a bit more traveller friendly with regards to the price but you can still tell from the number of yachts in the harbour that’s it’s a rich area! In the picture you can see Thornton Peak which is apparently only visible 20 days of the year. It has its own microenvironment which survived the last ice age. On our way to morning tea, we stopped at Flagstaff Hill Lookout which isn’t actually part of the tour but Richie wanted us to see it. I’m glad he did because the view was stunning! We then had morning tea, biscuits and cake by the beach. The beach had a netted area to keep out jellyfish where you can swim but we didn’t bother. This woke us all up a bit and got us chatting a bit more. Whilst driving up to Cape Tribulation we drove through a farming community called Mossman. This area was big for sugarcane farming. Richie told us that they used to harvest the sugar cane by hand and that there would be loads of rodents which were bad because their urine was toxic and, if it got in your cuts, it could kill you. The rodents also led to their being loads of snakes (a big issue in Aus when they have so many venomous ones!) Apparently in the old days, if someone got bitten, they would chop off the body part that was bitten straight away to stop the poison spreading – ouch! After that, they started burning the crops so that it would draw out all of the rodents and snakes so that they would harvest it all safely. The birds would love this as it would draw out prey for them to hunt and apparently one bird, the Whistling Kite, liked this method so much that it would take the embers from a fire and set fire to its own field for a private feast. I love that! 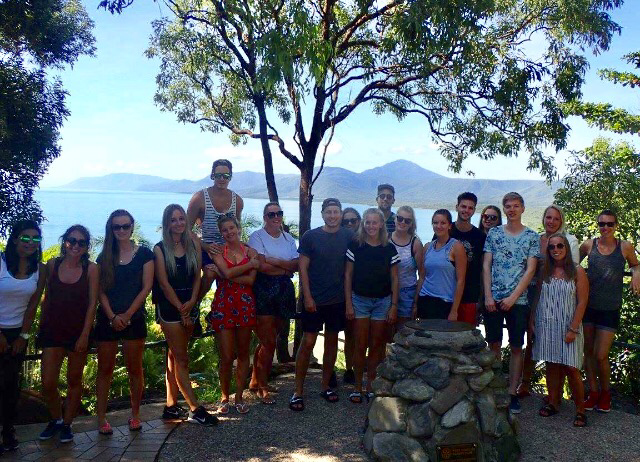 Mossman is in what’s known as the Great Dividing Mountain Range which divides the tablelands from the coastal region. As it is close to the ocean the air is full of moisture which is then dumped over the mountains making the area great for farming and wildlife. Apparently it’s the mountain ranges that makes the outback so different from the rest of the east coast. 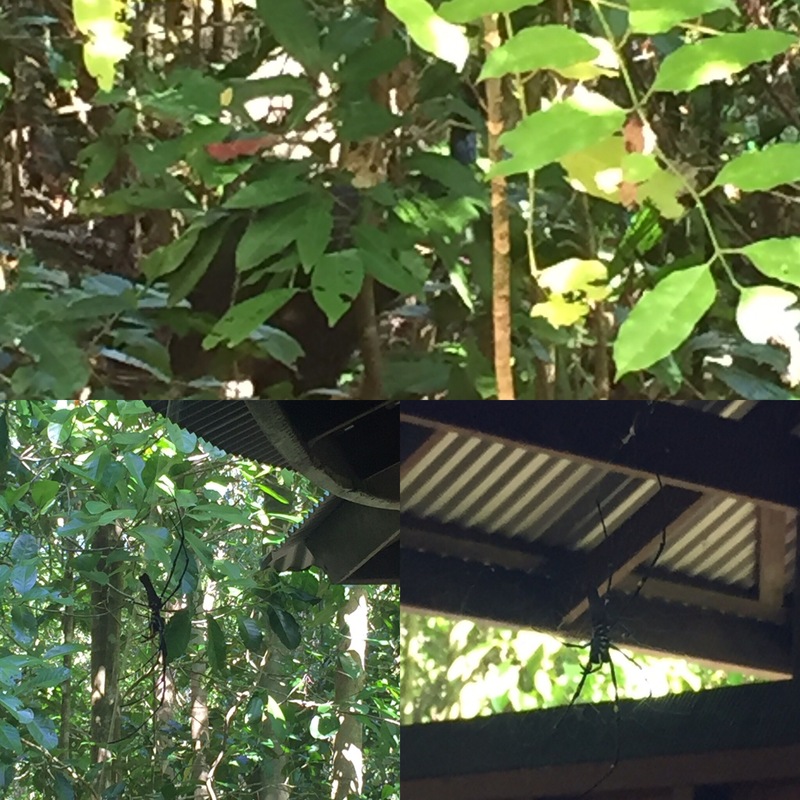 The Daintree Rainforest – the main thing we were there to see – is around 160-180 million years old and is the oldest Rainforest in the world. It covers 1% of the land mass of Australia and has 1300 species of tree. 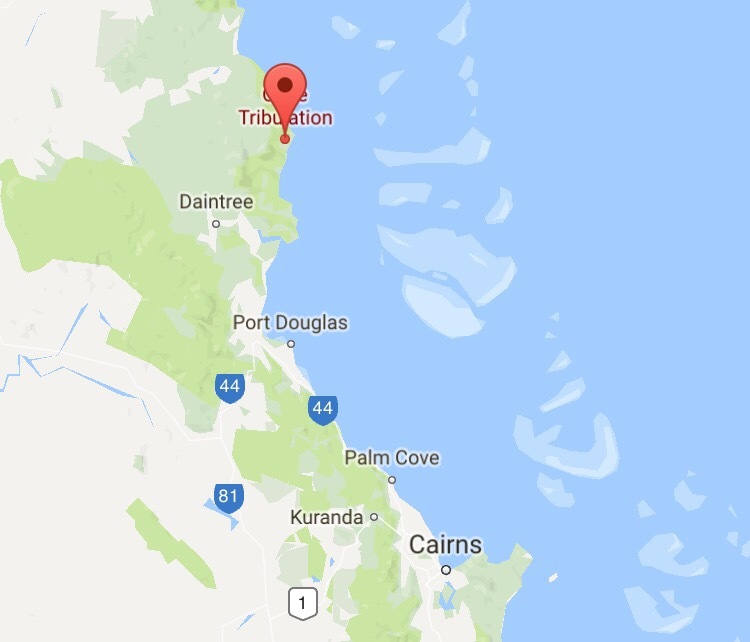 The Daintree is a world heritage site but it hadn’t always been that way. Richie told us that, in 1974, Australia had a very corrupt government that wanted to knock down the rainforest and mine the whole area for gold instead. Once that ran dry, it wanted to turn the old gold mines into a cattle range. Obviously, the residents and those invested in the preservation of the rainforest didn’t want this and so they took part in a peaceful protest/blockade. Some protestors buried themselves in the soil so that just their head was sticking out and others chained themselves to trees. One man even crucified himself which shows how passionate they were about saving the rainforest. The bulldozers came to knock down the forest were ordered to either pull out the buried people or just drive over them meaning loads of people were killed. Thank goodness for the media because they got involved and caused a national uproar by publicising what had been done to these Australian citizens. This then led to international attention and then Unesco sent in researchers who granted it world heritage status. This happened in 1984 but it wasn’t until 1988 that the government accepted the world heritage status. It was granted this status as there is a species of tree in the rainforest that they had only previously seen in fossils. This led to more research which determined it to be the oldest rainforest in the world. I find that story so interesting as it shows the importance that the rainforest had to so many people that they were willing to die to protect it and that now, from their efforts, it’s protected forever. 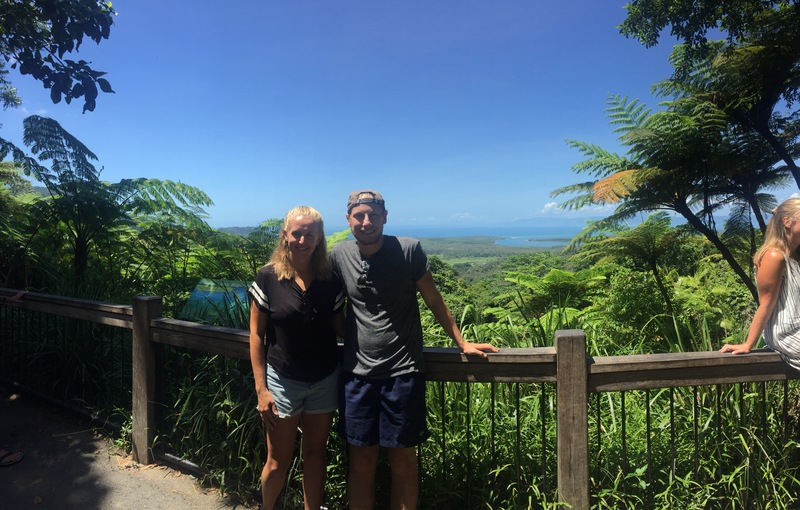 Our next stop was to the Alexandra Range Lookout or ‘Walu Wugirriga‘ in aboriginal language. 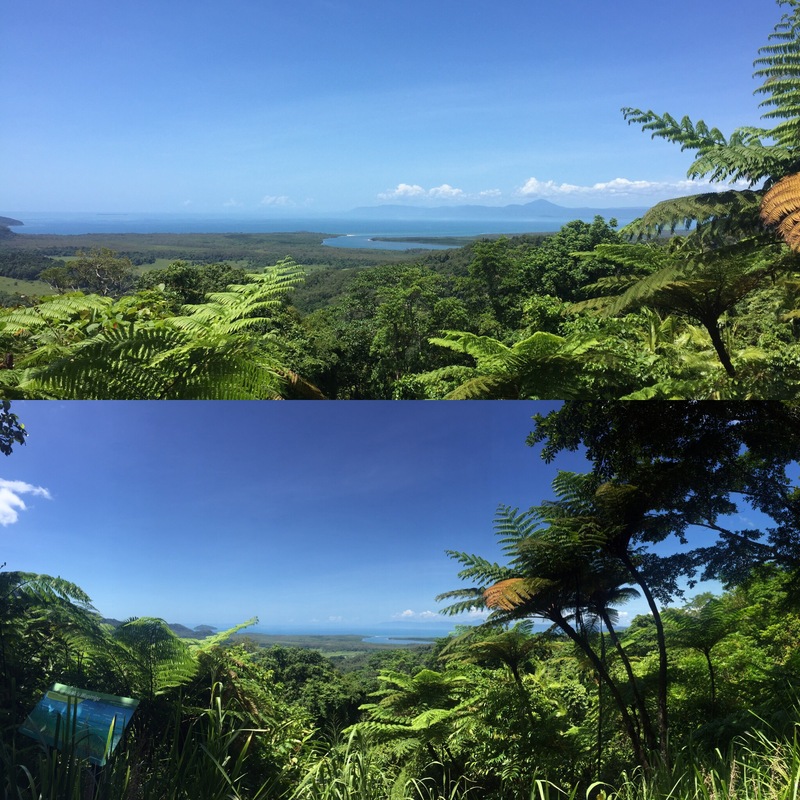 The views were amazing and you could see the Daintree river winding through the rainforest all the way to the hills by Cairns which was cool. The amount of green was just gorgeous. The rainforest is one of the few homes of wild Cassowary birds which are the 3rd largest bird in the world after the ostrich and emu. It’s cool because the males look after the young and will focus on the offspring over everything else, including helping to look after others offspring when times get hard. The female cassowary is just a girl about town and will wander all over the rainforest to mate with as many male cassowary’s as she can. They’re really rare and apparently are crucial to the survival of the rainforest and they can eat and digest some of the trees that other animals can’t. We were lucky enough to see one during our tour! After lunch we headed to Emergen Creek where there was a nice swimming hole in the middle of the rainforest. 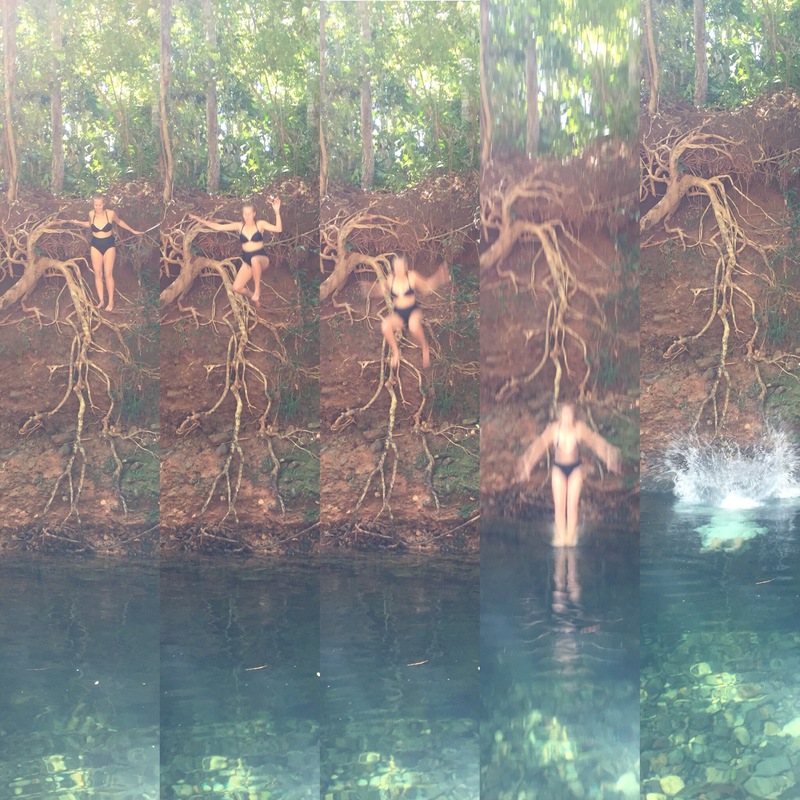 The water wasn’t the warmest but wasn’t so bad if you swam around a bit. The water was really deep at the other end of the creek and there was a point on the ridge of the forest that you could climb up to and jump off. 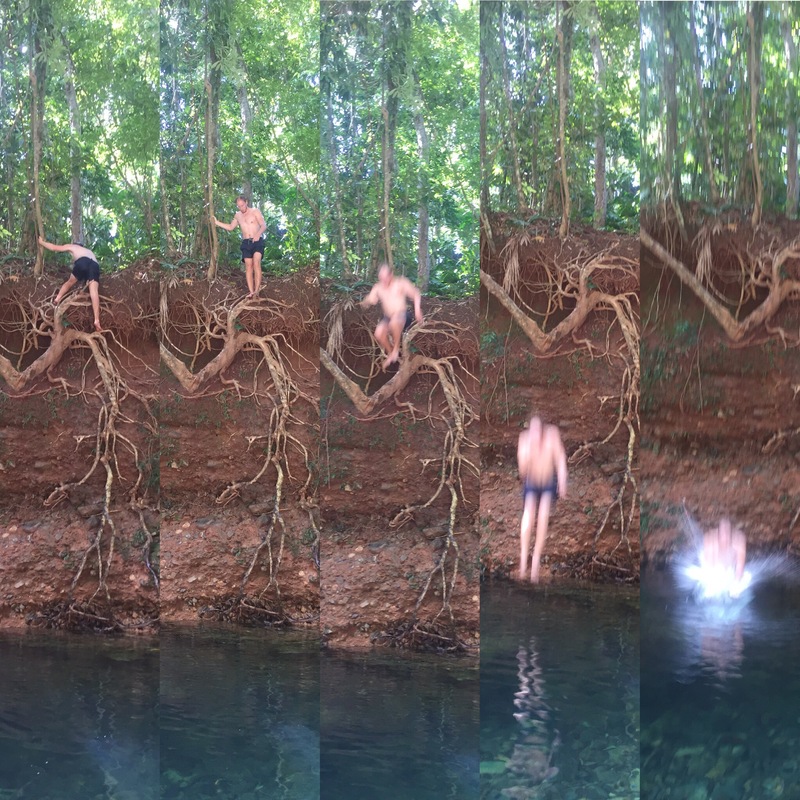 Me and Niall were only two of the four people out of the group of twenty that jumped in. 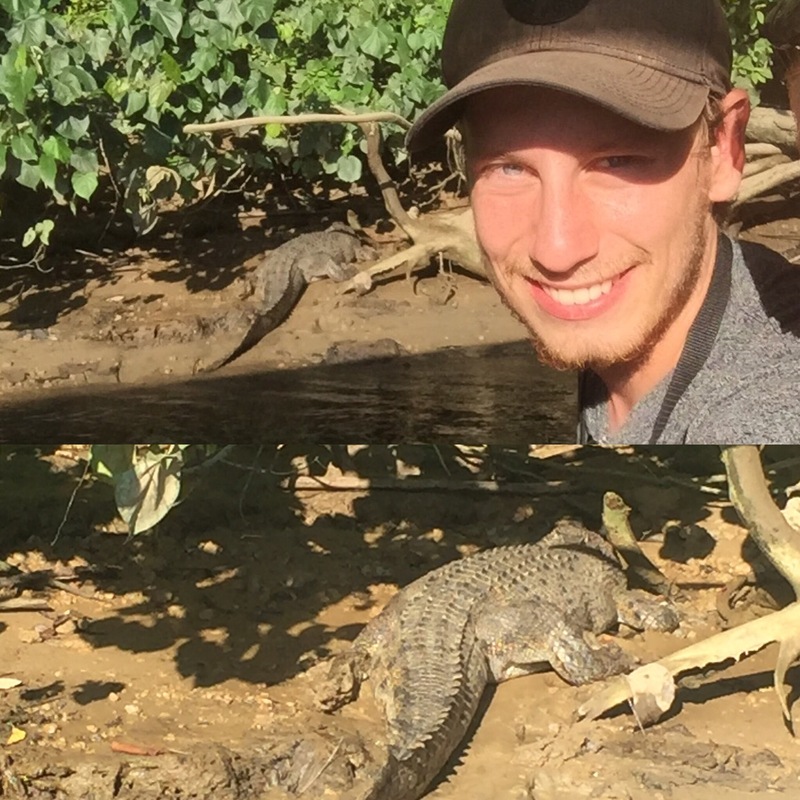 After swimming for a bit, we moved on to Emergen Beach where a couple of crocodiles are known to live. It’s mad that they live on the beach – when you already have sharks and jellyfish to worry about! For all of those reasons, we obviously didn’t go swimming and had to keep a distance from the waters edge. 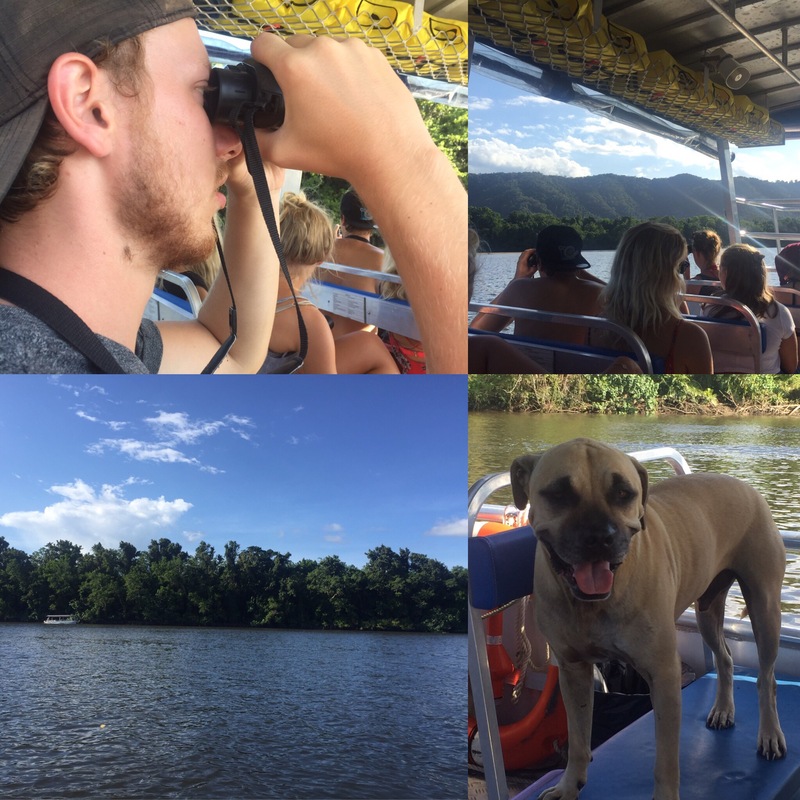 The final stop of the day was for a river trip looking for crocodiles! Ray was our crocodile spotter and was really good at finding the crocodiles on the side of the river. It was really hot so they weren’t sure we’d get to see many as they tend to stay in the water to keep cool. Ray also had a dog called Duke which liked barking at the crocodiles when we saw them. It was nice as we were given a beer and packet of crisps for the crocodile cruise as well as binoculars to help us see the crocs a bit better. 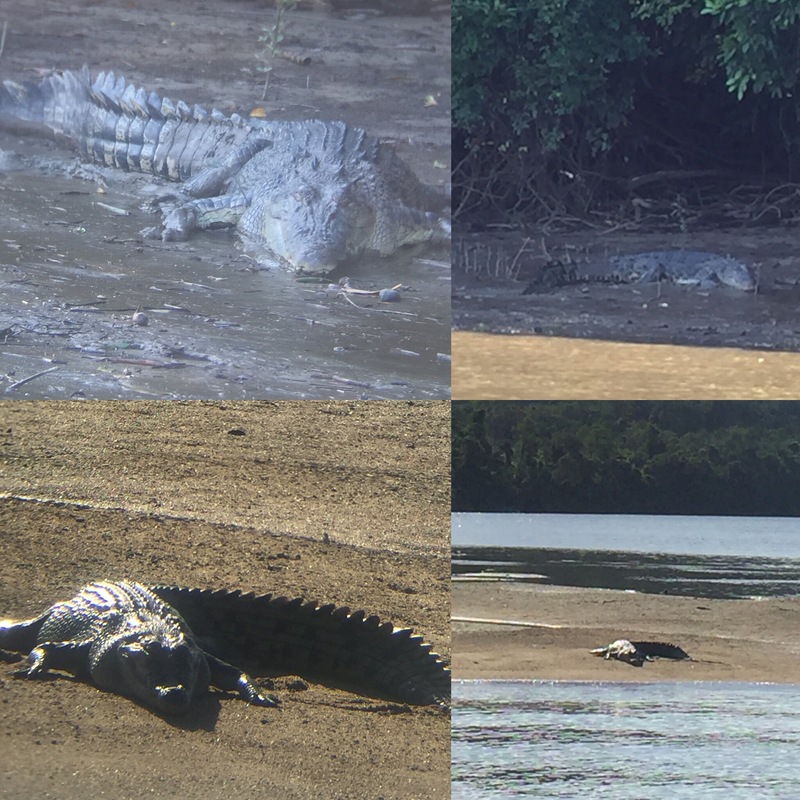 We ended up seeing 4 crocodiles which we were all thrilled about. It was a good little trip out on the river. On the way back we played a game where you said what animal you wanted to be and why and then Richie would tell you loads about that animal – he knew so much! 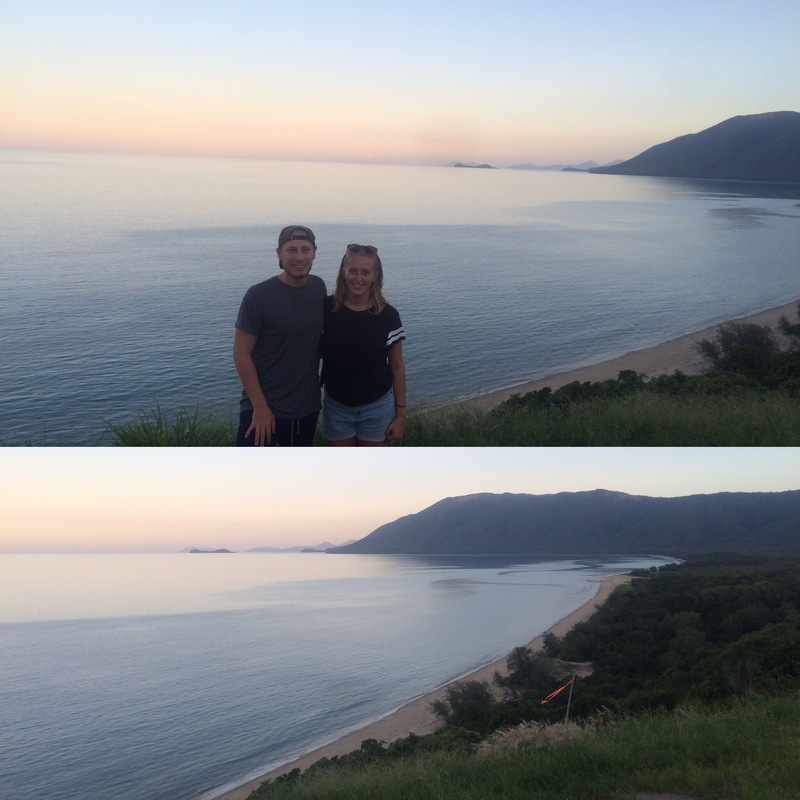 We also stopped at some lookouts (including Rex’s Lookout) on the way back to Cairns and got to see the sun starting to set. 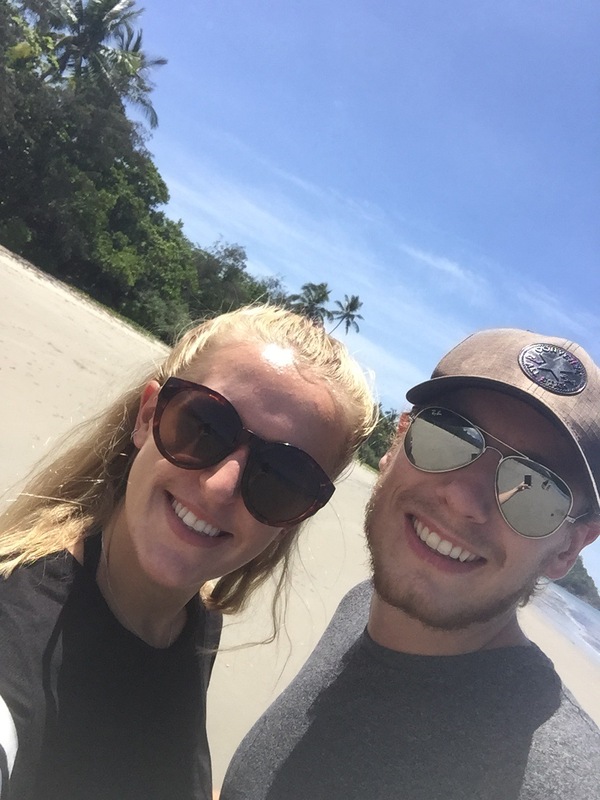 It was a really good day seeing Cape Tribulation and the Daintree Rainforest and our Uncle Brian’s guide Richie was great at giving you information and keeping you entertained.